Full-time at the Jawaharlal Nehru Stadium. Kerala fail to dislodge NorthEast United's sturdy back line despite having a man extra for more than 70 minutes. Their campaign ends, underpinning the very fact that they have just not been clinical in front of goal. Meanwhile, Schattorie and co., with a much-changed side, hold on to salvage a point. Moreover, they displayed desire to stay disciplined and proved why they are in the final four. That's all from us and the Kerala Blasters, for now. 93' Kerala are playing at a pedestrian pace. There's no real urgency or quality about the home team's attacking process now. Meanwhile, NorthEast are still switched on. Six minutes of extra time added on. 90' Bodo has another on target. The 19-year-old wriggles past one challenge to create space for himself. His effort, although on target, is tame. 87' Bodo's first touch could have been a perfect start! The winger is free on the left, and he shoots one straight at Gurmeet from a tight angle, but the shot-stopper holds on to it. 85' Kerala make their final change. Young Bodo is on for Doungel. 84' Yellow for Karuthadathkuni, already. 81' Another substitution from the home side. Samad's campaign comes to an end, as he is replaced by Prashanth Karuthadathkuni. Kerala have committed bodies forward in numbers as they push for an opener, but NorthEast defenders are clearing their lines brilliantly well. 78' Easy take for Gurmeet. Poplatnik takes charge of the free-kick and floats a ball in. Much to his disgust, the 19-year-old goalkeeper in Gurmeet grabs on to it decisively. 71' And that's the end of Pawan Kumar's mixed performance. 69' Pawan Kumar tips it over! NorthEast's custodian pulls one out of the top draw! Stojanovic's long effort takes a nasty deflection, which causes Pawan Kumar to go full stretch in order to maintain the deadlock. Save of the game, by a million mile. 65' Reckless from Keegan Pereira! A cross is played into the heart of the six-yard box and met by Pereira, who instead of playing it forward, smashes his attempted clearance on to Poplatnik. The ricochet is directed straight on goal. Mohamad Rakip on for Kali. Kerala threaten for the first time this half, with Doungel receiving a long ball in the six yard box and playing it to Stojanovic, who's volley is saved. More of this is needed from Kerala if they have to end their season on a positive note. NorthEast have set themselves up quite well. There isn't an 'out-ball' option for them at the moment due to just ten men, but Schattorie's side are well-drilled. 53' Poplatnik with another effort! How badly does he need a goal? The number 9 plays a one-two and loads one up, without the right balance or technique. The opposition keeper was scrambling back, but the effort was just over. Triadis skips away from his marker and produces a peach of a pass to Lalrempuia, who cuts back on his left and fine-tunes his shot on target, only to see it parried away brilliantly by Dheeraj. 46' Second half is underway. Stojanovic opens the half with the first shot on goal, which should have easily been gathered by the keeper. Corner for Kerala. Half time at the Jawaharlal Nehru Stadium. It's been a highly intriguing first 45 minutes, with Kerala dominating most part of it. Pekuson rattled the cross bar, while Gurwinder Singh's regulation foul saw him sent off. The hosts have established control over proceedings as NorthEast struggle to cope with 10 men. As far as Kerala's chances are concerned, they have only themselves to blame due to the lack of a finishing touch. 45' What a fantastic run by Keziron! The holding midfielder picks up the ball and surges forward with purpose after having stayed on his feet despite a supposed foul on him. He threads through a pass, but the resulting shot by Doungel is smothered away by Pawan Kumar. Keziron gets on the edge of the box on the back of a decent spell of play, but tries to play a lofted pass behind the back four, with no player chasing it. That's been the story of the half for Kerala. Poplatnik spins off a challenge and fires one in on goal, but the ball ends up well over the bar. He had three options available. 37' NorthEast struggling to get forward. The Highlanders were once again robbed off their possession in the middle third by a yellow shirt, but a fine tackle from Palacios cuts out the danger. 34' Off the post! The closest either side has come. Pekuson receives a pass down the flank, cuts inside and lets one go. Unfortunately for him, it only smashes the frame of goal. The Indian international rises up the the air but ticks off Mascia in his follow-up. Once again, seems like a harsh decision from the referee. 27' NorthEast respond immediately with a substitution. G. Khosla off, F. Lalrempuia on for him. 25' Free-kick goes agonizingly wide. The free-kick from Kerala's striker took a nasty deflection and ended up just wide of goal. The referee's decision, was once again delusional. The review displayed minimal contact, which should have perhaps been given as a yellow due to the nature of the violation. 23' OH! THAT'S A RED. GURWINDER SINGH IS GONE. Poplatnik gets on the end of another dangerous Kerala attack and is through on goal, but is brought down by the center-half just on the edge of the penalty area. 21' NorthEast are all over the place! Doungel pickpockets the opposition defender, looks for a pass but doesn't find it. He still manages to get into a good crossing position. His cross should easily have been cleared. Just over quarter of an hour gone, and Kerala have looked the better side in terms of how well the ball has been circulated. Perkuson's strike, however, has been the only notable effort on goal. NorthEast regain possession after the ball bounces off a Kerala defender. Juan Mascia finds Rowllin Borges on the right. He sees Federico Gallego and Girik Khosla step up but his ball is beyond all of them. 12' Ah! Unlucky wit that, just WIDE! Courage Pekuson curls a cross in from the right and the danger looms in the form of Matej Poplatnik and Slavisa Stojanovic but Gurwinder Singh scrambles back to make a block, clear it out. Seconds later, Pekuson tries to fire like he did against Bengaluru FC but the grounded shot flows wide. 9' Janeiler Rivas, NorthEast's replacement for the injured Mislav Komorski, heads a dangerous ball by Pritam Singh to safety. NorthEast maintaining their formation and giving Kerala no room up front! Seiminlen Doungel leads a quick break for Kerala Blasters and plays it through to Matej Poplatnik, but the forward doesn't time his run well and is flagged offside. A flurry of passes and NorthEast United move up. Juan Mascia, on the right, takes a poke at the goal but it's deflected for a corner by Anas Edathodika. 1' PEEEEEEEP! Tonight's referee is Rahul Kumar Gupta and he'll hope to have it easy over the next 90 minutes. Kick-off 5 minutes away and we'll get to see Kerala Blasters in action one last time in this ISL season. They will, of course, be part of the Super Cup and have to play the qualifiers on March 15-16. NorthEast United have made the semifinals and look to experiment with their squad in this game. Stay tuned for the kick-off. Up against his former side. Nelo Vingada, the Kerala Blasters coach, managed NorthEast United in the 2016 season. Sharing his thoughts on facing his former side, Vingada said: " NorthEast means a lot to me because they gave me the first chance to come to India in 2016. I would like to congratulate them for making it to the semi-finals." With an eye on the semifinals, Eelco Schattorie benches Bartholomew Ogbeche and plays Girik Khosla up front. Shouvik Ghosh also handed his first start as a NorthEast United player. Janeiler Rivas and Juan Mascia handed Playing XI chances as well. Kerala Blasters have made 2 changes with Mohamad Rakip and Lalruatthara going out. Keziron Kizito and Pritam Singh start for Kerala Blasters. Hello and Welcome to Sportskeeda's Live Coverage of the Kerala Blasters v NorthEast United ISL Live match. This will be the Kerala's last game at home and who are the players who will be representing the Kochi-based side? We'll have the line-ups for you next. NorthEast United have the worst record in counter-attacks - they have scored just once off a break this season. While Kerala Blasters have won just one home game this season, they are up against NorthEast, who have the best away record in the league. NorthEast have won 5 out of their 8 away matches so far, bagging 16 points on the road. Will they pile the misery on Kerala in the Kerala Blasters v NorthEast United ISL Live match? Kerala Blasters have the joint-lowest number of wins this season along with Chennaiyin FC at 2. However, they have a chance to better that in the Kerala Blasters v NorthEast United ISL Live match tonight. Out of the 12 goals NorthEast captain Bartholomew Ogbeche has scored, seven goals have come away from home. He will look to catch up to Ferran Corominas in the golden boot race in the Kerala Blasters v NorthEast United ISL Live match. The last time these two sides met, Kerala Blasters were leading 1-0. But NorthEast United scored twice in injury time to seal all 3 points from the encounter. Bartholomew Ogbeche converted from the spot and Juan Mascia scored a stunning volley to help NEUFC win. We could be set for another exciting encounter in the Kerala Blasters v NorthEast United ISL Live match. 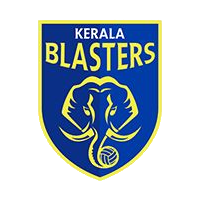 Kerala Blasters have a poor defensive record this season, conceding as many as 28 goals. It was back in 2015 when they conceded 27 goals in 14 matches. 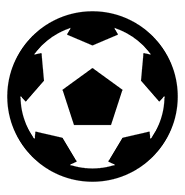 From finishing bottom of the table with 11 points last season, NorthEast United under Eelco Schattorie already have 28 points with a game to go. Could it set an all-time record with another win in the Kerala Blasters v NorthEast United ISL Live match? Kerala Blasters will hope to sign off on a high with a win over NorthEast United in front of their home crowd at the Jawaharlal Nehru Stadium in Kochi on Friday. Blasters have endured a disappointing season and missed out on the qualification for the ISL playoffs. They have won just 2 games this season and only once at home, coming against bottom-placed Chennaiyin FC. A win over NorthEast will not improve Blasters' placing on the table. They are currently on 14 points in 17 games and will finish ninth even if they win. But a second victory at the JN Stadium will lift the spirits of the Manjappada, the Blasters' fan army, and give them a lot to look for during the Super Cup. 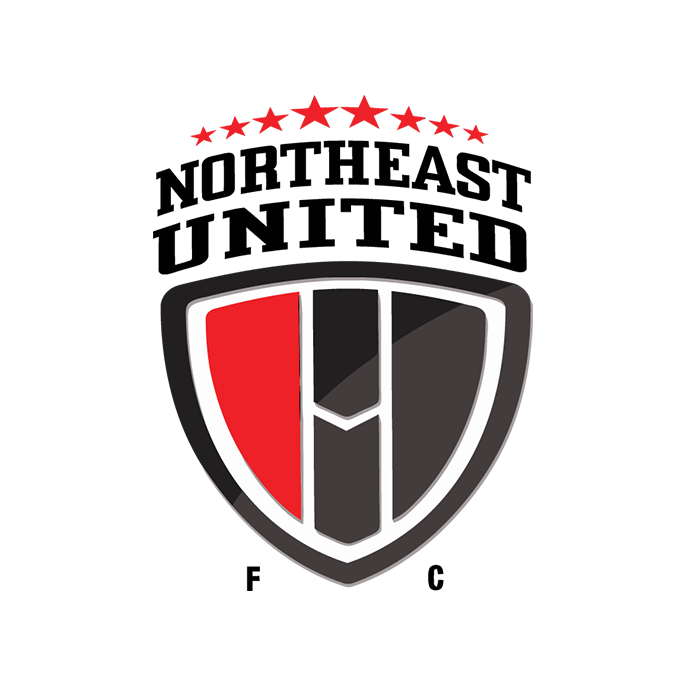 NorthEast United, who have already qualified, will experiment with their squad before the ISL semifinals, which will begin on March 7. NorthEast are on 28 points in 17 matches and a win can take them to third on the ISL table, adding pressure to third-placed Mumbai City before the Maharashtra Derby on March 2. Otherwise, NorthEast will face Bengaluru FC for a spot in the ISL final, which will be held on March 17 in Mumbai. Mato Grgic misses the game due to a card suspension and it's probably best that the defender gets the one-game suspension out of the way before the semis. NEUFC captain Bartholomew Ogbeche, second on the golden boot race with 12 goals, will aim for a personal milestone. He'll hope the team gets a boost before the playoffs. When and where to watch: Kerala Blasters v NorthEast United ISL Live match will be shown on Star Sports Network and NorthEast Live. The Live Streaming is on Hotstar. Kick-off at 7.30 pm IST.